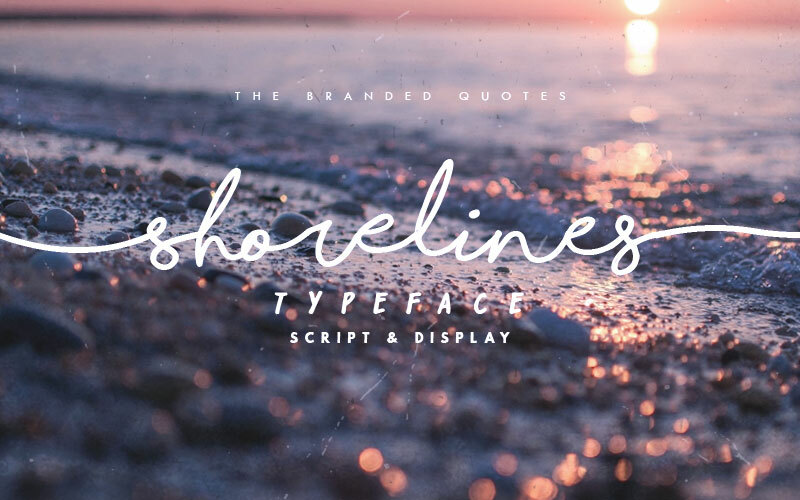 Download Shorelines Script font for free. Shorelines Script is a font / typeface offered for free. please note that if the license offered here is non-commercial you have to obtain a commercial use license / permit from the original author. Not your average Cursive font, Shorelines can behave like a girl’s handwriting then shreds like a boss over the sea waves! Whether you’re a photographer who wants that signature text on your images, or a blogger, maybe a Pro-Surfer? Shorelines Script will cater all your cursive dreams. The imbalanced heights and spacing will give your work a natural and handwritten look. Note: Try combining the Uppercase and Lowercase characters to form a unique look of a word. Also, the swashes and extras are found in some of the Punctuation Marks of the brush and script fonts. If the Shorelines Script font is offered under 'commercial use free' or 'creative common' license, feel free to use Shorelines Script font for any purpose.